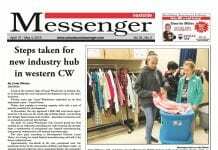 The Westside Messenger: Covering Hilltop, Prairie Township, Franklin Township. The editor is Andrea Cordle. The Eastside Messenger: Covering Canal Winchester The editor is Rick Palsgrove. 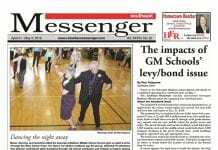 The Southeast Messenger: Covering Groveport and Madison Township The editor is Rick Palsgrove. 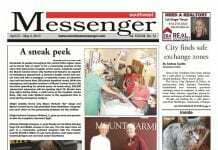 The Southwest Messenger: Covering City of Grove City, Jackson Township, Pleasant Township, Village of Urbancrest. The editor is Andrea Cordle. 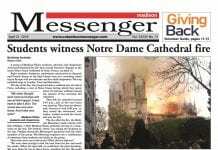 The Madison Messenger: Covering Madison County including: London, Mt. Sterling, Plain City, West Jefferson, South Solon, Sedalia, Somerford & Rural Routes. Additional Coverage In South Charleston The editor is Kristy Zurbrick. * Rick Palsgrove is the managing editor for the editorial department and can address questions or comments about the news content of the newspapers.